Forever transforming the cruising experience, Royal Caribbean is a bona fide line when it comes to innovative shore excursions. Now, it’s crystallised its status as an experiential cruise line and launched a brand new range of 18 shore excursions targeting the Asia Pacific region. Adam Armstrong, Royal Caribbean’s regional Commercial Director said that the expansion is all about ensuring there’s an immersive experience on offer for every passenger, no matter what their age or interest. Cruising through the idyllic Whitsunday Islands, passengers will join a small scale group for a day of reef and bottom fishing. With the incredible Great Barrier Reef underfoot, it’s the perfect place to reel in coral trout and red emperor. 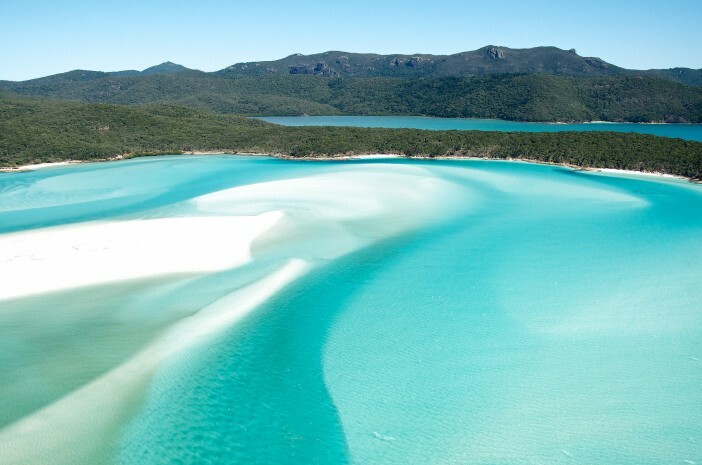 What better way to take in the stunning Trinity Inlet than on a supercharged speedboat? Ideal for passengers wanting to cool off from the Queensland humidity! After summiting 4,000-foot Mt. Wellington and taking in the panoramic views, cyclists will embark on a scenic tour through the beautiful forest landscape. Perfect for passengers wanting to experience the full impact of Tassie’s natural beauty. Curious to find out what FIFO life is really like? In this tour, passengers delve head first into WA’s iron-ore industry, with tours to Gateway Village, operational facilities, the crib room and the legendary Redbank Bridge. Famous for its wild and rugged beauty, New Zealand is a mecca for nature lovers. On this tour, passengers pair up with the Ngati Whatua tribe for a guided walk of the region, including Auckland’s majestic dormant volcano, Mt. Eden. Beer lovers delight, because this tour is all about the best brews NZ has to offer! Paying visit to a quartet of establishments, passengers will get to look, touch, smell, learn and of course, taste. Tempted? Want to find out more? Call 1300-857-345 today to talk to a member of the Cruise 1st team and discover all of the latest and greatest Royal Caribbean itineraries on offer.